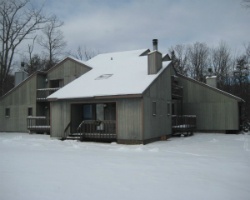 Lovely *Ski Side Village* is located at the base of Camelback Ski Area and is only minutes away from 'The Crossings' factory outlets, Golf Courses, Pocono Raceway, Bushkill Falls and various other activities! 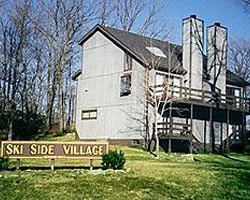 At Ski Side Village, property owners enjoy luxurious two or three bedroom villas with full kitchens, a wood burning fireplace, jacuzzi, sauna, washer and dryer and more! Annual red week 11! Motivated seller! Multiple Weeks! 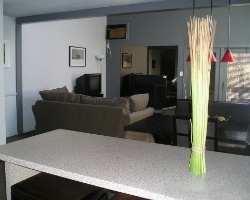 Fantastic Resort Near Skiing, Golf, Shopping, Raceway & More! Make an Offer Today - Neg! Non-Red Season Weeks! Multiple Red Season Weeks Available! 4-Seasons Resort with Great Skiing! Make an Offer - Neg! Multiple Non-Red Season Weeks Available! Attention Skiers! Great Resort Located at the Base of Camelback Mountain! Make an Offer Today! Neg! Red Weeks! Annual mountain vacations for a bargain price! 2 bedroom, 2 bath villa! Multiple weeks available! Outdoor lover's paradise! Buyer May Receive A Title Fee Credit, Inquire For Details! Available during week 21! Beautiful year round resort! Buyer May Receive A Title Fee Credit, Inquire For Details! Offers Accepted! 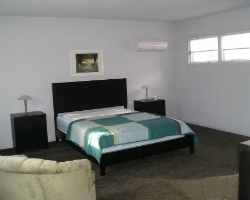 or OBO !Only minutes from many activities and amenities! Enjoy annual mountain vacations! Great resort only minutes away from various activities and amenities! Buyer may receive a title fee credit, inquire for details!